a presentation by Mark Walpole at the Long Italian Lunch & Sangiovese Awards, 6th November 1999. When people are talking about premium Italian varietal wines then in most cases people think Barolo, Barbaresco (both made from Nebbiolo); Chianti (from Sangiovese), Barbera, Pinot Grigio or possibly even blends including French varieties such as Cabernet Sauvignon. In Australia when there is talk of premium wine regions, names such as Adelaide Hills, Yarra Valley, Mornington Peninsula or Margaret River come to mind. Just as the Northern Italians think of the area south of Rome being connected to Africa, many people would like to think that the Riverland and Sunraysia are in another country other than Australia and couldn’t possibly grow premium winegrapes. Both human and natural selection over the centuries has resulted in a huge range of very localized varieties emerging across Italy. Subsistence agricultural practices and limited transport meant that many of those varieties have remained regional specialties. Despite a massive reduction in the number of native varieties during the post phylloxera reconstitution there are still over 300 varieties officially cultivated in Italy today. Until recent years little attention has been given to the native varieties found in central and southern Italy and even less to the opportunities that they may provide in areas of similar climatic conditions in Australia. Because the historical focus has been on Northern and Central Italy little climatic information is readily available on the south. Even Gladstones quotes in his publication “Viticulture and Environment” that ‘I have not attempted to document the hot climates of the south, of which the wines themselves are not well documented and are used for everyday local consumption or blending’. Perhaps Gladstones lived in fear of insulting the local ‘familia’ in the Swan Valley and ‘connections’ may have had him distilled, or pickled in Gardineria! I have, however, managed to dig up some limited climatic information thanks to Dr Richard Smart, which I will refer to today. Making generalizations about temperature on the southern Italian mainland or islands is unwise due to the local terrain. Unlike Australia where travelling inland from the Great Dividing Range usually means a reduction in altitude and corresponding increase in temperature, in Italy usually the opposite occurs, where mountains and plateaux form the spine of the country. Many people may think that the Italian mainland gets cooler the further north you go (and to some degree it does). However places such as Bologna just above the northern border of Tuscany in Emilia-Romagna at 52 metres above sea level are infact hotter than, say Matera at 400m a.s.l, right down in the “instep” in Basilicata. It is true to say that no real comparative climates exist in Australia, due to the variables involved such as distance from the coast, rainfall, elevation, latitude and so on but parallels can be drawn. Temperature is the most important element of climate when it comes to influence on wine quality, and hence why it is used to compare sites across the world, with other factors such as humidity and rainfall playing lesser roles. Temperature is usually expressed as Heat Degree Days (HDD) and its accumulation over the growing season. My first instinct was to compare the Sunraysia region with southern Italian regions such as Apulia, Calabria and Sicily. A casual observer to Sicily in summer will see an arid environment, irrigated citrus groves, olives and vast fields of bearded wheats with the only significant difference being a rolling landscape (and of course Italians everywhere!). To put this into perspective Alba records 1850 HDD (where Nebbiolo, Dolcetto and Barbera are grown); Siena 1860 HDD (Sangiovese); Jesi, on the east coast in La Marche 1880 HDD (Verdicchio); Perugia 1600 HDD (Sagrantino) and Cosenza, in Calabria 2130 HDD (Malvasia). As alluded to earlier, the range of varietals planted across Italy is enormous; many of which are local specialties. Because a variety is confined to a specific locality does not necessarily mean that it is ideally suited to the area or may not perform even better somewhere else; however my experience suggests that this is probably an exception rather than the rule. Many of the Northern Italian varietals such as Nebbiolo and Barbera perform totally differently as a vine when planted in warmer climates, and produce inferior wines with poorer colour and that brown quickly with age. There is no doubt that some varietals such as Sangiovese, the Malvasia family, Vermentino and Montepulciano to name a few, will have greater flexibility across a range of climates and produce good quality wines albeit differing styles, just as Shiraz does when planted at Sunbury or at Wentworth. Twelve years ago I planted a variety collection in our family vineyard in the Ovens Valley which contains over 60 different varieties of which 12 are Italian. The exercise has enabled me to ascertain the suitability of a particular variety to my site and our current management practices. While they all grew quite satisfactorily some were frosted off each year due to a very early budburst. Some produced no fruit when spur pruned some produced 8t/ac with one bud spurs. Some have internodes 6”apart some 2”apart. Some require shoot positioning on a single wire; some can be left sprawl on a two wire vertical. Some were extremely sensitive to botrytis some almost resistant. A great number of these varieties will require significant management input and I believe be totally unsuitable for what has become the ‘normal’ practice in this area, minimal pruning. Out of the collection there are a handful of varieties that I am confident in; and many I’m glad there are no more than 6 vines planted! More commonly known as Ribolla Nera, Scioppettino is limited in its production to a tiny community in the Colli Orientali area of Fruili called Albana di Prepotto. Tiny amounts of wine are made and said to be “A great wine, approaching the great ones of Piedmonte, but with a grace all of its own”. The vine was almost forgotten in the aftermath of phylloxera at the beginning of the century, probably because of its low yields of between 7 – 8t/ha. The low yield is primarily as a result of cold conditions at flowering, thus planted in more favourable sites may be coached to produce more. The vine is sensitive to Downy mildew (usually not a problem in the inland areas) but quite resistant to bunch rot due to its thick skins. Cane pruning is usually practiced due to low basal fertility, and vigour is good. In the best examples a premium full-bodied dry red is produced. When young the wine has intense aromas of blackberry and raspberry, which develops into a complex bouquet of moss, underwood and vanilla with longer ageing in large oak or shorter periods in barrique. There was a suggestion that Nero d’Avola is similar to Shiraz genetically however this has been disproved recently with DNA typing. The vine buds and ripens midseason. It is vigorous producing large clusters (up to ½ kg) and yields of between 8 – 10t/ha are easily achieved. The vine has good basal fertility and can be pruned to either spurs or canes. Traditionally the vine was grown as a goblet but newer plantings have lifted yield and quality with vertical trellising. Wines produced are capable of high alcohol (12.5 – 13.5%) good acidity (8g/l) and high phenolic content. While capable of producing a diverse range of wine styles, the best examples are full bodied with an intense bouquet of spices, hazelnut, raspberry and other small fruits, have a velvety palate and are best wood aged. 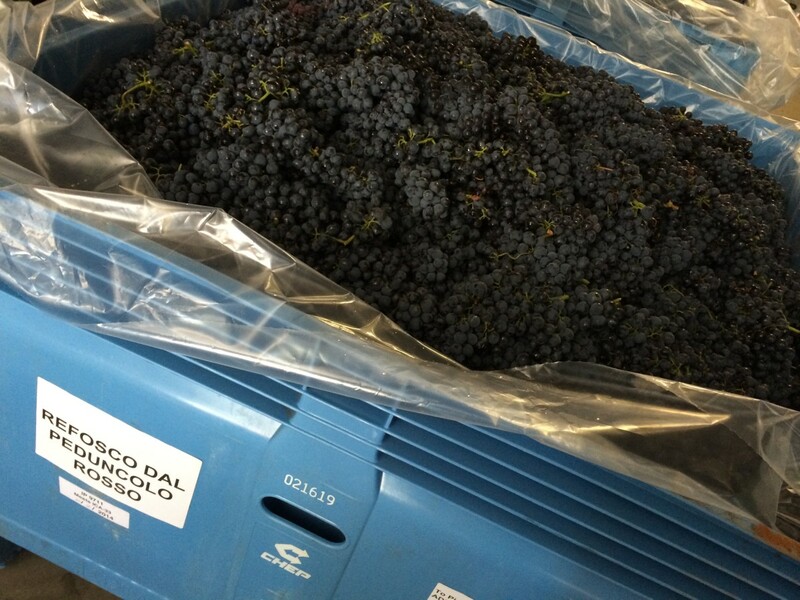 Refosco dal Peduncolo Rosso is the preferred clone from the Refosco family, which includes the less preferred Refosco Nostrano and Terrano. The vine’s cultivation is limited to a few hundred hectares in the Grave del Fruili region of North Eastern Italy. I personally believe it is a vine that is the ‘exception to the rule’ and requires a warmer climate than where it is normally found. Jancis Robinson in her book “Vines Grapes and Wines” suggests ‘With its good colour, high acid, alcohol and extract it could probably perform even more consistently and better in a number of warmer regions than the two in which it is most widely planted at the moment’. The best examples of Refosco are barrique aged, producing a full bodied dry red with aromas of black cherry, vanilla, blackberry and a hint of tar with a slightly bitter finish. Primitivo finds its roots in the region of Apulia, in Italy’s heel, where it has been in decline for the past couple of decades with areas reducing from 27,000 to 17,000 ha between 1982 and the present. The name Primitivo is in reference to its early ripening – reputedly the first grape to be harvested in the European vintage and capable of achieving very high sugar levels. It was a popular variety for those growers who wanted to sell high alcohol bulk wine to producers in the North for blending purposes, and has not until recently been marketed much as a straight varietal wine. The reason for its decline is probably linked to its management difficulties which include- low vigour, moderate but inconsistent yields, high lateral fertility, sensitivity to frost; and high temperatures (resulting in berry burning) and botrytis. With all these traits it’s not surprising no one wants to grow it! 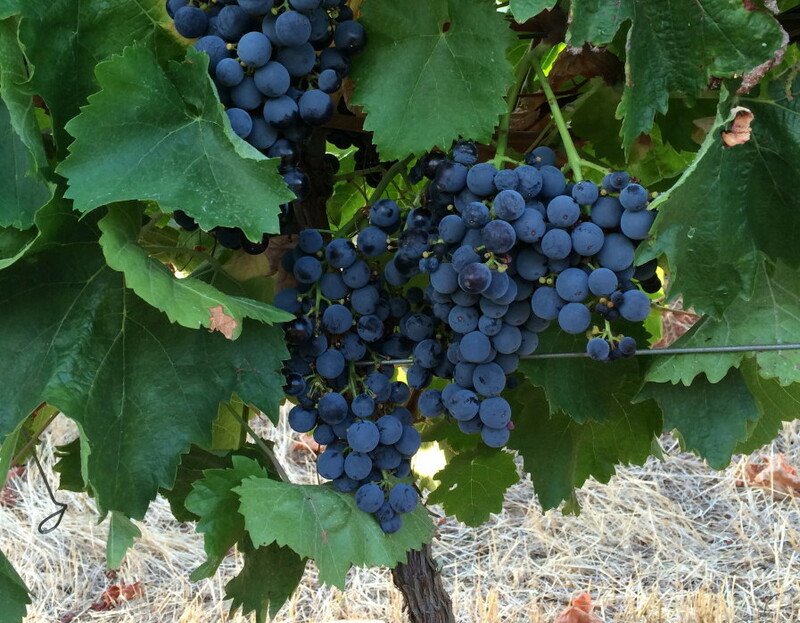 Primitivo is also identical to California’s Zinfandel: the vinous equivalent of a chameleon. There it is an extremely versatile variety producing wines in every shade of the rainbow and plays much of a workhorse role as Shiraz has done here in the past. The varieties potential is very much underrated as those consumers of full bodied dry red wines such as Cape Mentelle or the best Californian examples will attest. It is not a grape for the faint hearted, nor just any site. Ripening tends to be uneven sometimes requiring two hand harvests. Berry shrivel can quickly send ripeness levels above what was required. Shrivelled berries and uneven ripeness can also give inaccurate readings leading to nasty surprises in the winery! The main characteristics of Primitivo are high alcohol (12 – 16%), high acidity (7 – 9g/l) and high phenolic content. Wines from cooler areas can have aromas of spice and pepper through raspberry and jam for warmer area examples with moderate acidity. Revolutions take a long time to build momentum. Mark could have written this same presentation today and it would be relevant. Some of the varieties he suggested have been adopted in Australia. Nero d’Avola even has it’s own dedicated varietal class in the AAVWS, but others are still as obscure now as they were 15 years ago despite the availability of the vine material being around since the early 2000s.